Hi all, today we will be making a hydrating cold press soap. This recipe is centered around one of the most well known flowers, the Rose. Our first ingredient, rose water is an excellent toner for your skin. Its pH level of 5.5 is about the same as skin and helps skin return to its original pH , as well as hydrating it. It's also extremely mild, that just about any skin type can use it. Next, we use shea butter. This is a naturally healing butter and treats sunburns, dryness and itching. 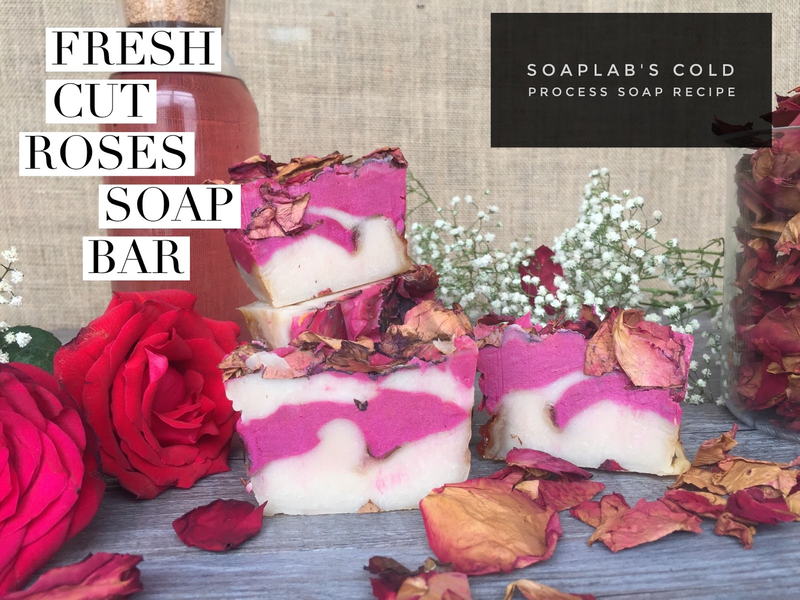 To give this soap some excitement we use a rose red color and also fresh rose fragrance oil. Then we add in some vanilla bean fragrance oil as well. Mmmmm super sensual!